Saving the planet can seem like a daunting task, and raising our children to join in the effort can feel overwhelming. Give children a focus. Rather than trying to solve all problems at once, families can do a world of good for the planet by concentrating on one thing at a time. This summer, we suggest focusing on water. The availability of fresh, clean drinking water is a big problem in some places. In Chicago, we tend to forget this because we live near a plentiful supply—Lake Michigan. Just because we have this resource does not mean we can waste it! Think of ways your family can reduce the amount of water you use: don’t run water while brushing teeth, put a timer in the bathroom to limit showers to five minutes, or let the grass go dormant and not water it during a dry spell. Make it a family project to find ways to conserve this precious resource. This is all about training yourselves to be aware of waste and think of new ways to conserve. You can engage your family in calculating the amount of water you conserve. Make a list of all the ways you are going to try to conserve water, and then keep track of how much water you save. For instance, if you use water only when you’re ready to rinse after brushing your teeth, credit yourselves with saving 15 cups of water each time anyone brushes teeth. At the end of the month, add up the total amount of water you saved and celebrate your achievement. Will you see a significant difference or get any instant reward for your efforts? No, but you will develop a sensibility that translates to reducing waste in other parts of your life. If we all do this, the effect will be cumulative, but everyone has to contribute. This is how kids can play an essential part in making a difference. Long-term learning is not a “lightbulb” moment. Learning that you can make a difference may not be a “light-bulb-going-off” experience for most people, especially children. That may be why the idea that kids can make a difference might be considered a myth—but it’s only a myth to people who expect instant gratification and immediate rewards. More often, we discover our power to have a positive influence on the environment over a period of time. 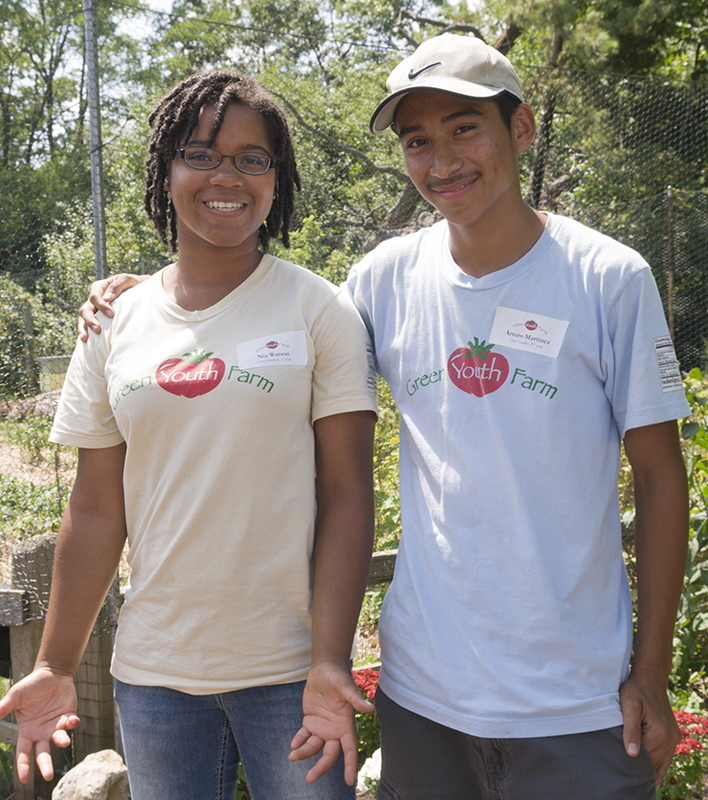 One of our Chicago Botanic Garden programs, Green Youth Farm, teaches students to grow their own vegetables—another way a family could learn to make a difference. Growing your own food is not only healthy, it also cuts down on energy consumption and pollution caused by shipping produce from farm to market to home. Students in this program experience the satisfaction of seeing what happens when they work with the environment—the sun, soil, water, and air—to feed themselves and help their communities. It takes months to plant and tend a garden before you get to taste the produce. Likewise, it takes time to see the benefits of positive changes we make and their results on the environment. We have seen children discover the impact they can have on their communities and homes most obviously in these kinds of programs. There is no instant payoff. Making change permanently takes patience, and commitment—and not just for one summer. What can the Chicago Botanic Garden teach my children? Learning about prairie ecosystems at the Garden. 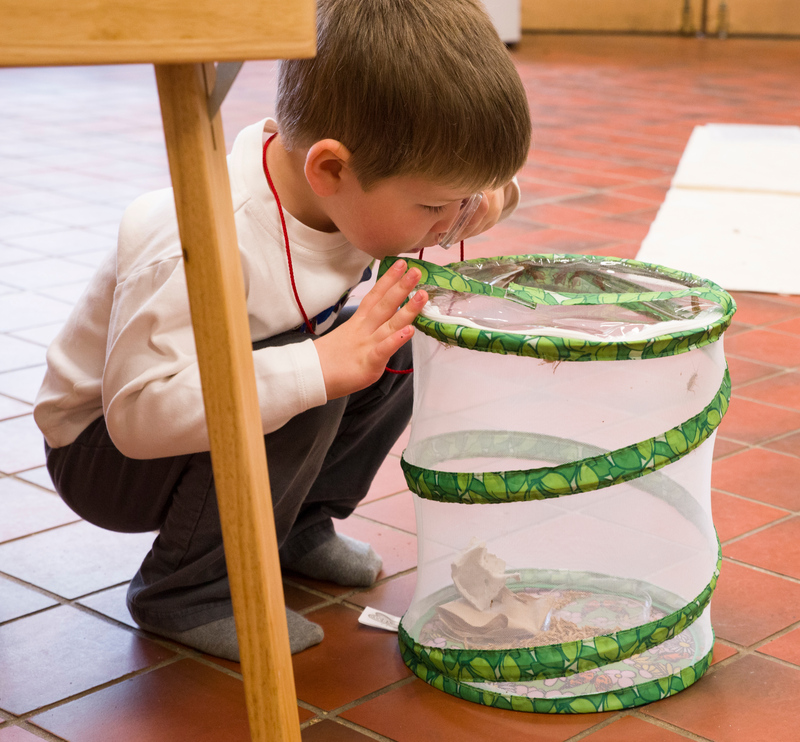 We encourage children to discover wonderful things in nature. 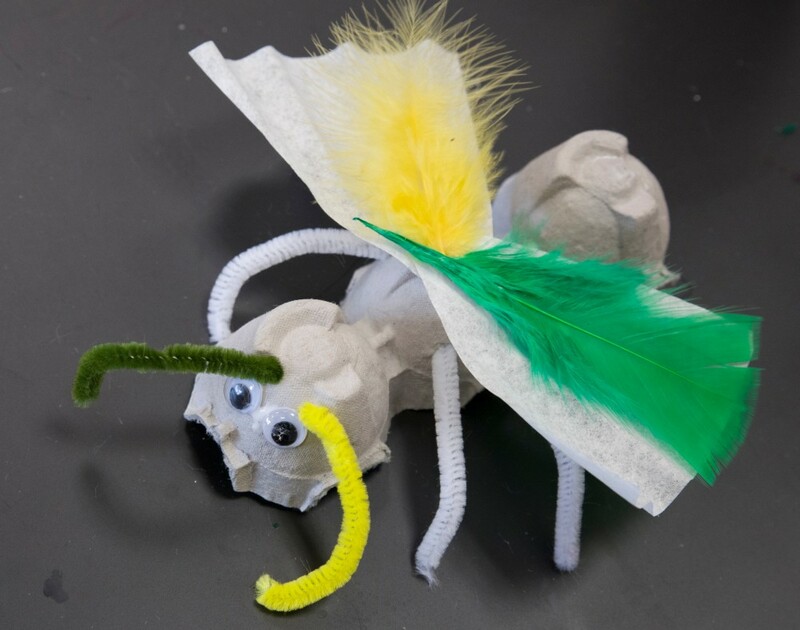 We help them understand why plants have flowers and how those flowers attract bees. We teach them what plants need to grow and how people need plants. 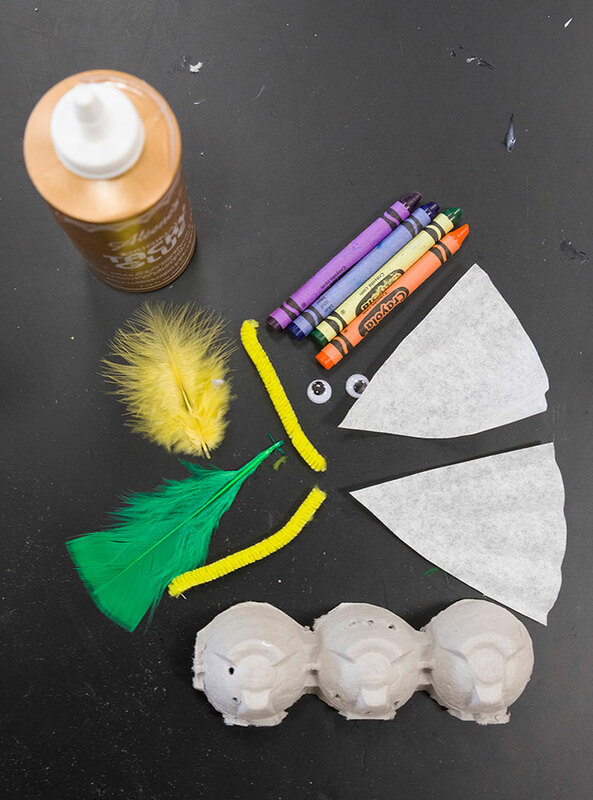 Understanding these things helps children understand why we all need to take care of the environment, and how they are part of the environment, too. The wonderful feelings children get from experiencing gardens and nature help to instill a love of the natural world—an essential component of wanting to make a difference. Join us for World Environment Day on June 1, a fun family event where kids and their parents can learn about water conservation and other critical environmental issues. Kids will get to help plant the Grunsfeld Children’s Growing Garden and learn a little about growing a garden. 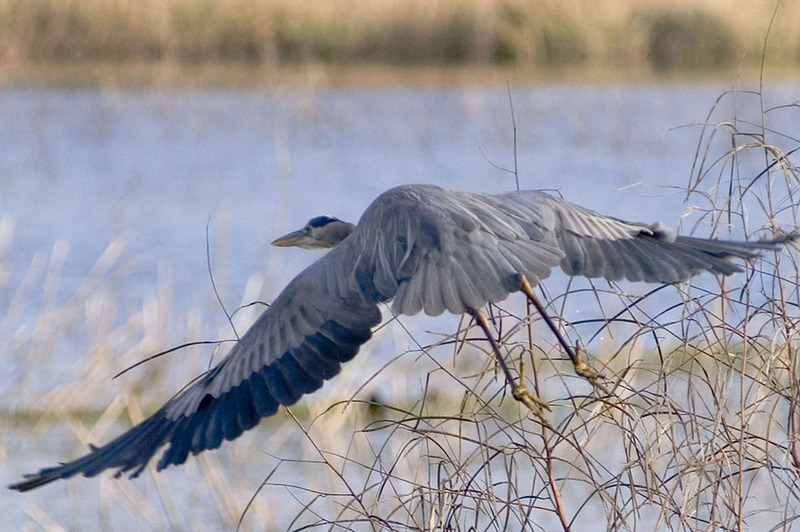 They will also discover the myriad of creatures that live in a healthy lake, and they’ll be challenged to think about water conservation to protect these delicate habitats. Studying lake ecosystems at Camp CBG. Free drop-in programs are held every weekend at the Children’s Growing Garden and Kleinman Family Cove. 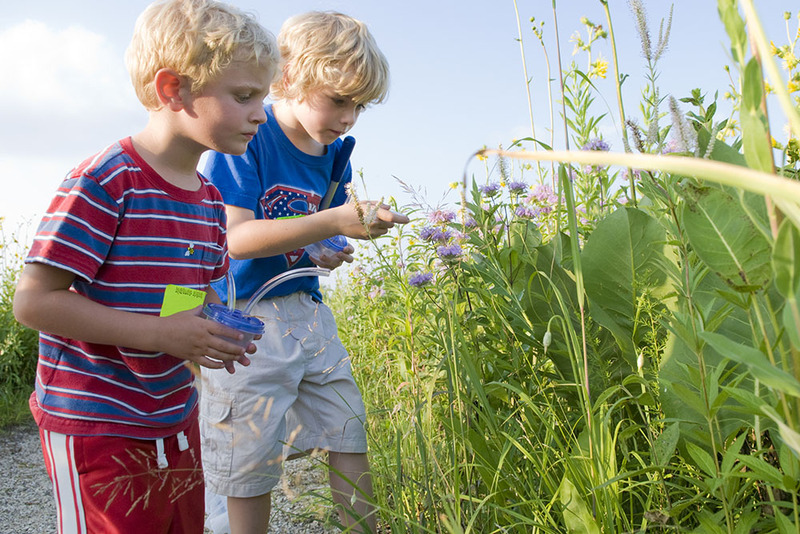 Topics vary throughout the summer, but all will engage children with fun activities to learn more about plants and healthy ecosystems. 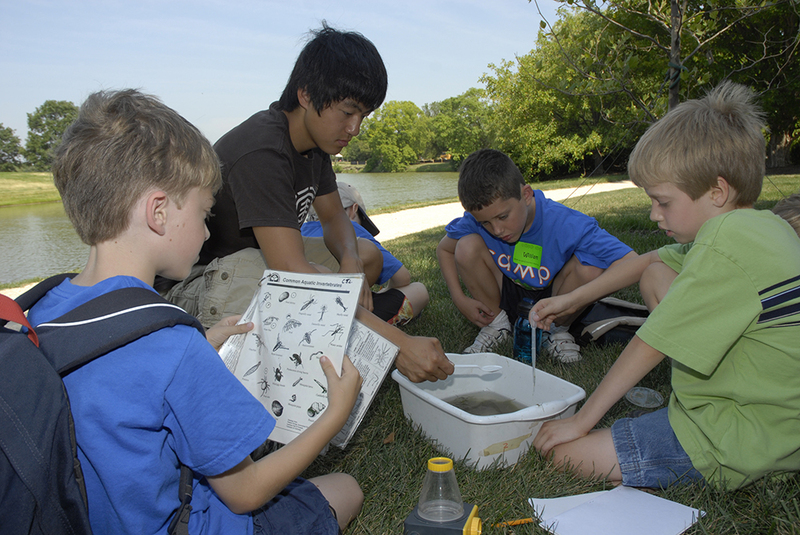 Summer camps offer week-long sessions for a variety of interests for children ages 2 to 15. Nature Nights and Family Tent Campouts are a different way to experience the Garden. 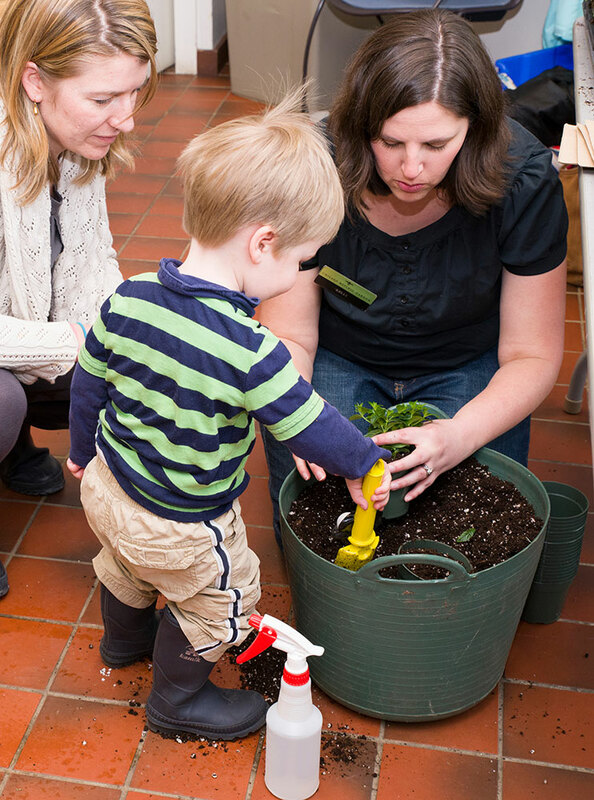 These programs introduce families to what happens at the Garden as the sun sets. 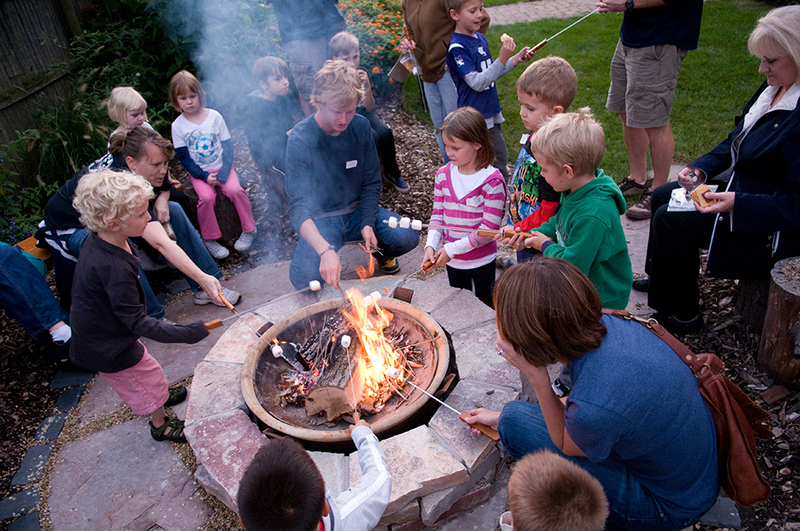 Nature Nights participants end the evening with s’mores. Grow a “green” family in your home and at the Garden this summer. Traveling along a quiet, dusty road in the western United States, Shannon Still, Ph.D., is on the lookout for an evasive plant. He hopes to find it before it disappears to another location, or just disappears altogether. A postdoctoral research associate at the Chicago Botanic Garden, Dr. Still is investigating nearly 500 plant species living in parts of 11 western states from Washington and Montana south to Arizona and New Mexico. Dr. Still identifies rare plants in California. “Between now and 2080, most of these species are predicted to lose suitable habitat,” said Still. By acting now, his hope is that he can help direct future research and conservation resources toward preserving species in greatest need. 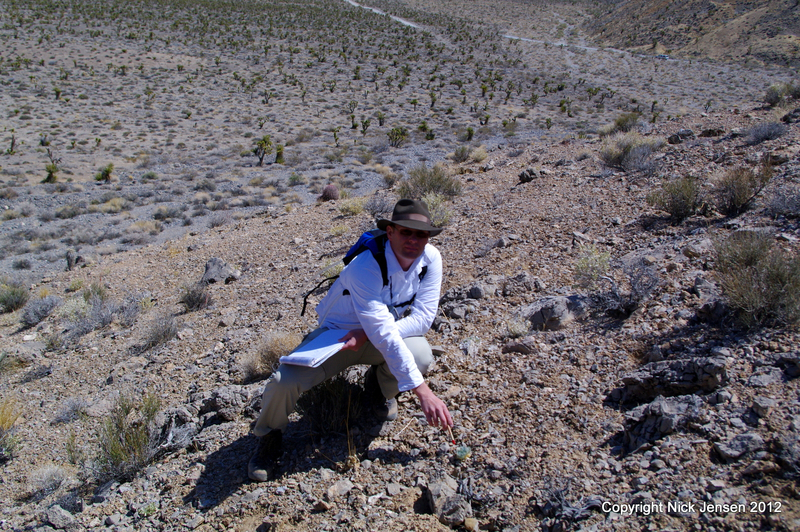 On this trip, he was hunting for the federally endangered Siler pincushion cactus (Pediocactus sileri). Similar to most others on Still’s list, Siler pincushion is a rare species, meaning few plants exist, or those that do are loosely spread over a large area. Like most rare species, it is also very particular about its living conditions — surviving only where elements like the type of soil and pollinator match its preferences. The Garden research vehicle awaits Dr. Still in Utah’s San Raphael Swell. The cactus only grows on gypsum, an uncommon soil type. 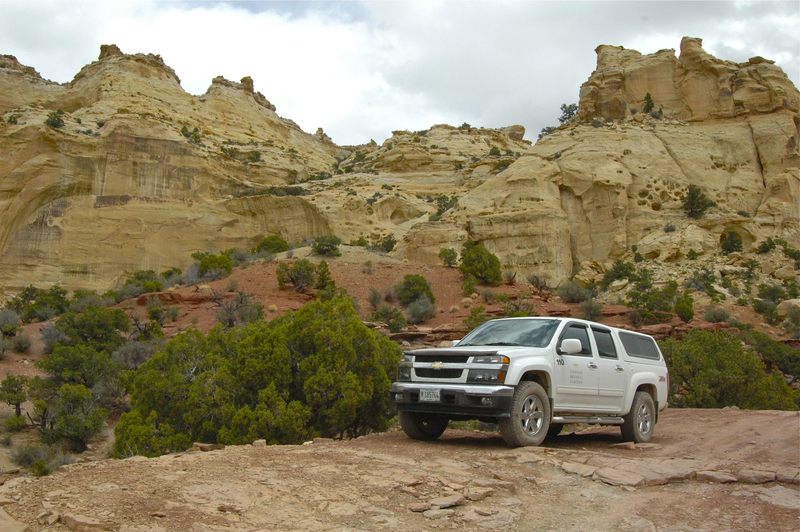 So, Still hopped into a Garden research vehicle and drove to where gypsum can be found, in the Arizona Strip — a range of desert located just north of the Grand Canyon in southern Utah. He was glad to find populations of Siler pincushion continuing to exist where they had been previously documented. But, he was elated to discover another 500 individuals, or an additional 5 percent of the total number of individual plants. His excitement was short-lived. Back at the Garden, he compared the plants’ precise locations to expected habitat changes in those areas as a result of climate change — temperature increases, changes in rainfall, or other shifts. 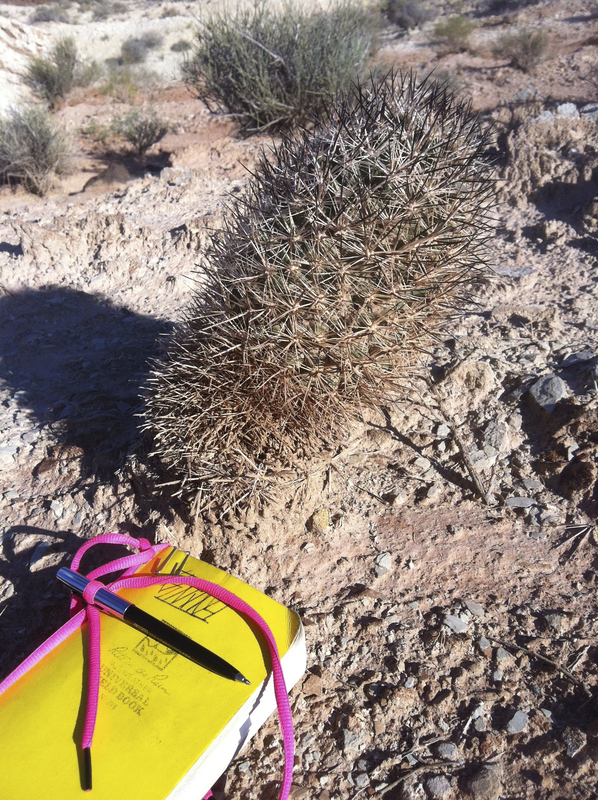 Siler pincushion cactus is slightly larger than Dr. Still’s notebook, which is shown here in Arizona southeast of Colorado City. Although Siler pincushion has a firm grip today, its future is on shaky ground. Sadly, this is the case for many rare plants. If their current habitat changes as significantly as is predicted, these species could drop off the map. Unless, that is, with the help of pollinators they are able to move to new locations, which may become more livable as a result of climate change. If they do, he wants a forwarding address. Joining Still in front of his computer, I was amazed to see the number of charts and graphs he had created for this purpose. A plant scientist with computer-programming expertise, he has written code to build evaluation tools and populated them with data he collected in the field and elsewhere. 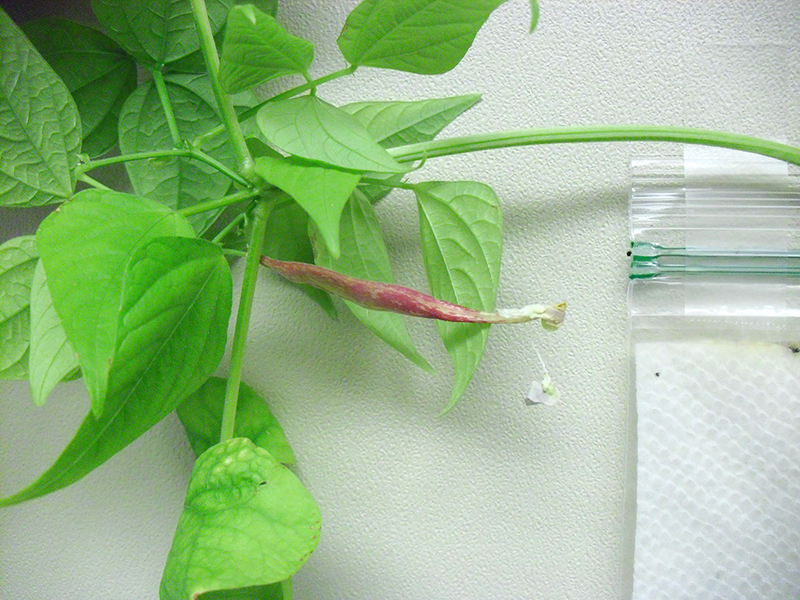 Unlike common plants, which are expected to migrate north as temperatures warm, Still has found that there is no such norm for his study plants. “What we’re seeing for the rare species is that there is no given direction. It is much more complicated,” he said. One graph he showed me was covered with arrows of varying lengths and directions. There, he had plotted the anticipated direction and distance of movement of hundreds of species. “I really enjoy working with people to solve problems and find different ways to do things,” said Still. Learn more about his work. A small number of rare plants are expected to remain in relatively unchanged habitat areas, he found. In fact, climate change may actually expand the number of places where they can thrive. The San Joaquin woollythread (Monolopia congdonii) is one of those. Still’s chart showed that this federally endangered herb is likely to grow in population by 20 percent and expand to new areas that will become more desirable. Himalayan blue poppy is now grown and displayed in gardens across the country. This three-year research project is well on its way to mapping the species and habitat areas to receive extra attention in the near future. However, it seems even more challenging to predict how far Still could go in coming years. 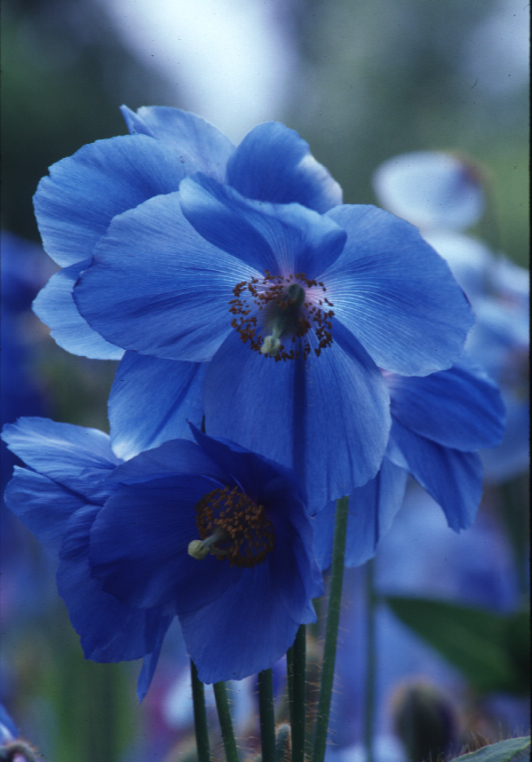 His master’s thesis on the Himalayan blue poppies (Meconopsis) paved the way for the dazzling flower to be grown and displayed at public gardens around the United States. This includes the Chicago Botanic Garden, where the poppies were recently displayed in the Greenhouses and the Regenstein Center. 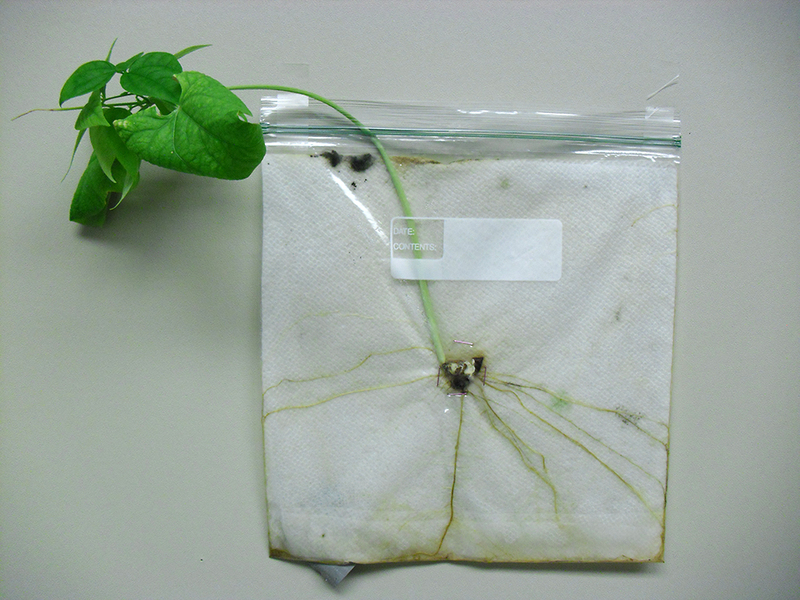 Learn more about this story in the fall issue of the Garden’s member magazine, Keep Growing. Join the Garden now to receive your copy!